Ok so I’m really excited about this one. It worked really well. I seem to be on a roll with the soups recently. Good for my European followers as the weather is turning cold, not so good for my Australian followed as it’s starting to get hot. I was in a soupy mood though so here we go. 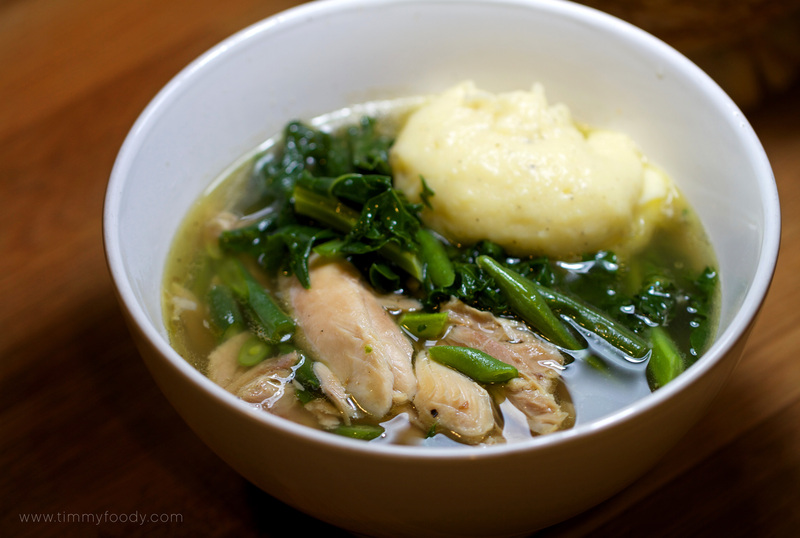 Chicken Broth with Kale and Green Beans. So this is actually quite a quick recipe for me if you have some left over chicken and some chicken stock. I’ve been trying to make my own stock recently. It is a bit of a faff but it’s really worth it and you have total control over what goes into it. I’ve been using http://www.inglewoodfarms.com chicken. It’s organic free range chicken and it’s so good. If you live in NSW in Australia then you really should use it. So far it’s the best tasting chicken Iv’e found. Plus if you buy just the packs of legs it so cheap. You can buy a pack of 4 legs for about $3-$4 a pack. This is really great for such good chicken. So I’ve been buying lots of packs of legs and chucking them into my cast iron pan with some olive oil, salt, pepper and a couple of crushed cloves of garlic. In the oven on medium to low for about 1 hour 25 mins. I then turn off the oven and let it sit in the residual heat for another 20 mins then take it out. From here you can do so many things. 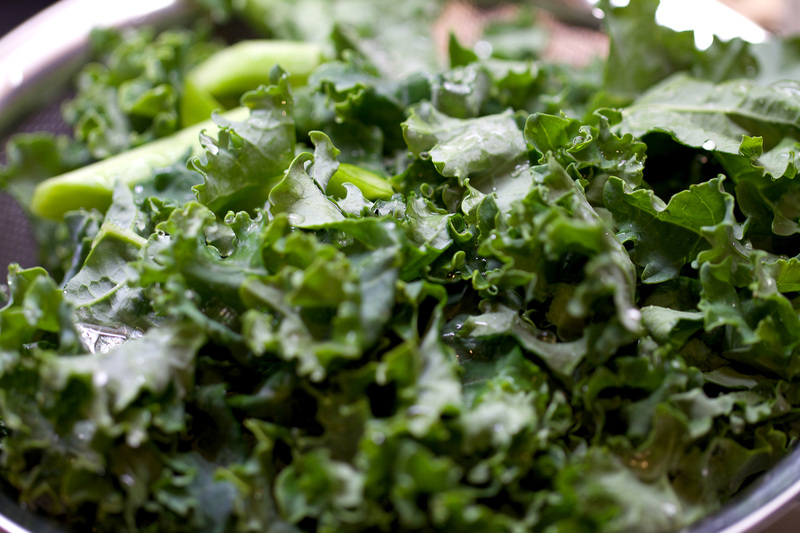 You can make great salads for lunch, soups, pies, stir fry’s sandwiches…..the list goes on. For the last few days I’ve just been eating the cold chicken legs as a little snack and putting the leg bone back in the pan os I can use it for a stock. I had about 5 legs left with meat on and about 5 or 6 with just the bone. All I did to make the stock was strip the meat from the bones and put to one side then fill the pan with cold water so it covers the chicken plus about 1cm then added a handful of parsley and 2 carrots roughly chopped. Pop the heat on and simmer for one hour (try a bit longer if you can) That’s it. Strain and pop the liquid back into a pan. If you don’t want to make your own stock then either get a good quality stock powder if your on a budget. Have a look at the ingredients in the stock powder. The less ingredients and less numbers the better. If you have a bit more spare cash then buy one of the fancy pouches of stock. These aren’t actually too bad. If you do this then get about 1.5lt of stock in a pan on a gentle simmer. 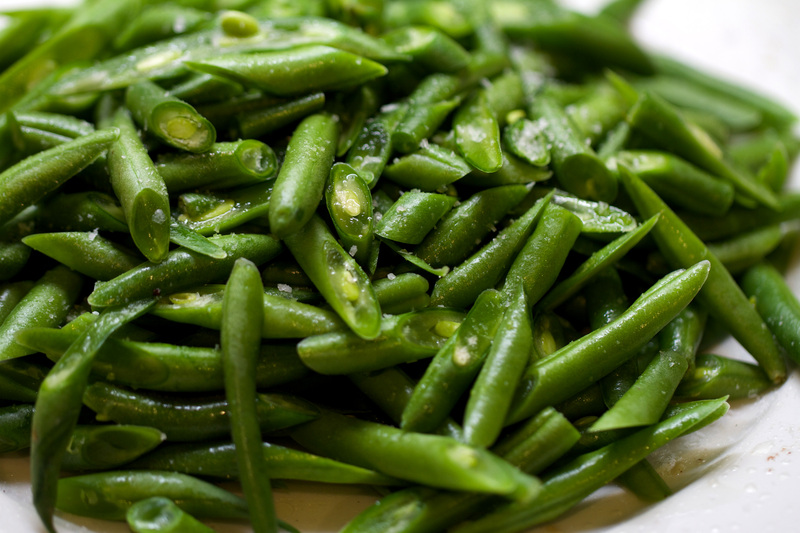 Peas – just use good frozen peas. I think fresh peas are a waste of money unless you grow them yourself. Any left over roast chicken. About 2 handfuls is good. 1. Get your potatoes on the boil in salted water. 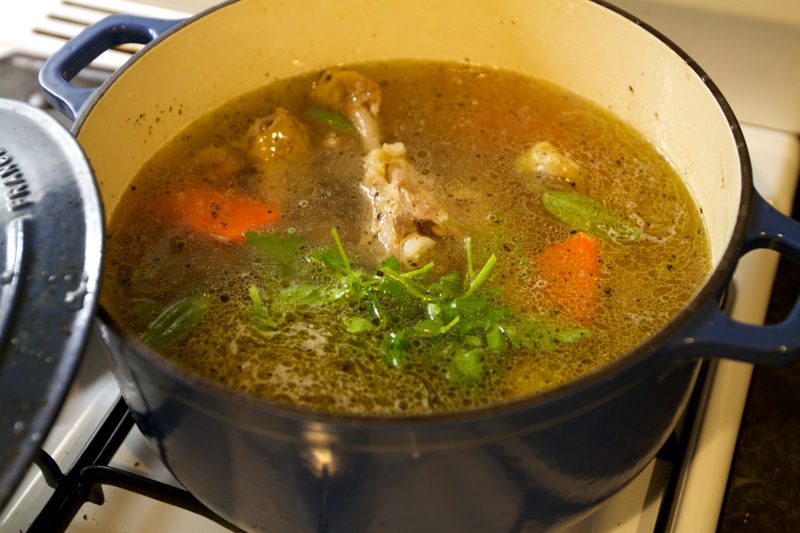 Add the chicken you stripped from the legs to the stock thats gently simmering. Now once the potatoes are cooked, mash well or push through a fine mesh sieve using a wooden spoon (really great way to get light fluffy mash) Add a splash of milk and a nice knob of butter and season with pepper and a touch of Maldon salt. Pop the lid on and put to one side. 2. Now in the stock turn the heat up add the green beans and peas and a pinch of Maldon salt. Once boiling turn the heat down a bit. After 2 min add the Kale and a good few grinds of black pepper, stir into the stock and pop the lid on and turn the heat off. Let this sit for 4 mins. 3. 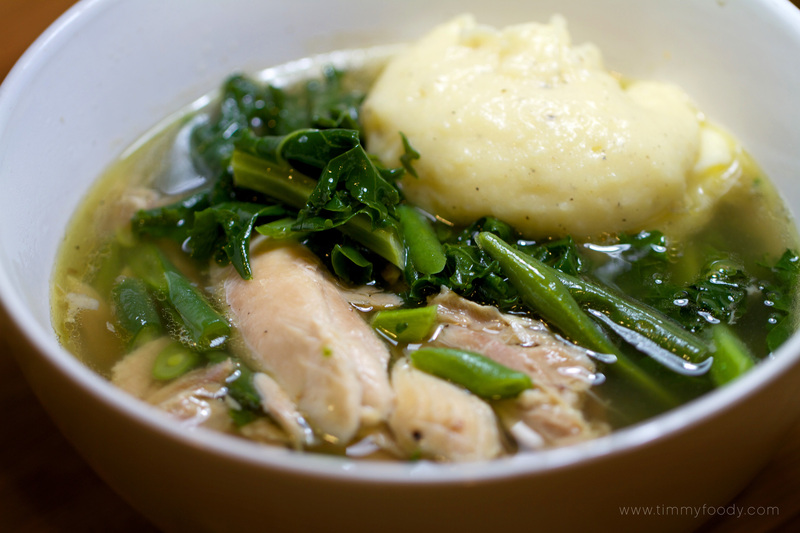 Now Grab a bowl spoon the soup into the bowl and pop a dollop of mash potato on one side. If you have the stock pre-made or use a packet of stock then this whole meal will easily take less than 30 mins. Hope you enjoy! If you try it out let me know that you think!